It is only because of our wonderful foster homes that we are able to continue saving these dogs. It is the kindest, most selfless and most rewarding act to bring a strange animal into your home, love it and care for it until it is adopted. Any one of our fosters will tell you that they receive far more from the dogs they foster (and the very thankful adoptive homes) than they ever give. If you have a love for this breed, the question is, why aren’t you fostering? The harsh reality is that, because we have no physical shelter in which to house the dogs until they are adopted, there are times when we have to tell a dog pound that we have no room to take in a GSP in need. Yes, it breaks our hearts, but we cannot responsibly bring in a dog we have no open space for. As a foster for Ohio Shorthair Rescue, you will be asked to provide an indoor home, some basic training in manners to make the dog more adoptable, food and lots of love. The rescue provides for all medical needs. If you are interested in fostering… or talking to someone about our foster program… please complete the application below and a volunteer will be in touch with you shortly. 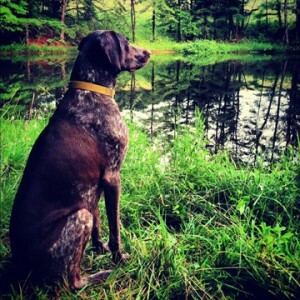 At Ohio Shorthair Rescue, our goal is to find the best possible permanent home for each GSP in our rescue. To meet this goal, we carefully review all applications. We check all veterinarian, landlord, and HOA references. If you are serious about adopting a GSP from our group, please complete the application IN FULL. Questions left blank will only slow the adoption procedure. Please note that since our mission is to reduce the pet overpopulation problem, we will not adopt to homes with pets that are not spayed/neutered unless there is a reasonable explanation as to why the animal is not spayed or neutered. IMPORTANT: List ALL vets you have used in the past 5 yrs, and call them to give permission to provide a referral for you. We will contact your vet prior to calling you, and lack of a veterinary referral will slow down our process. Have you ever trained a dog in the past? If yes, please describe training methods. No, I do not have permission. Not applicable, I own my home. Not applicable, I already have a fence. If you are applying in response to a foster plea, please list specific dog(s) you might be interested in fostering. Is there anything else you think we should know in order to help us match you with the right foster GSP?